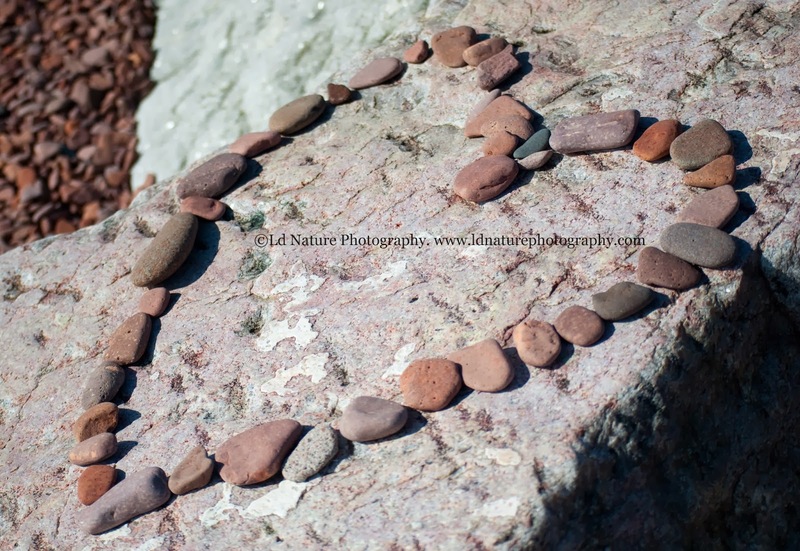 Recently I came across Laura from LdNaturePhotography just recently on Etsy, while looking at the members of my etsy team, In Business For Life. When I looked at her shop, I was intrigued by her materials and the crisp beauty of her photos. 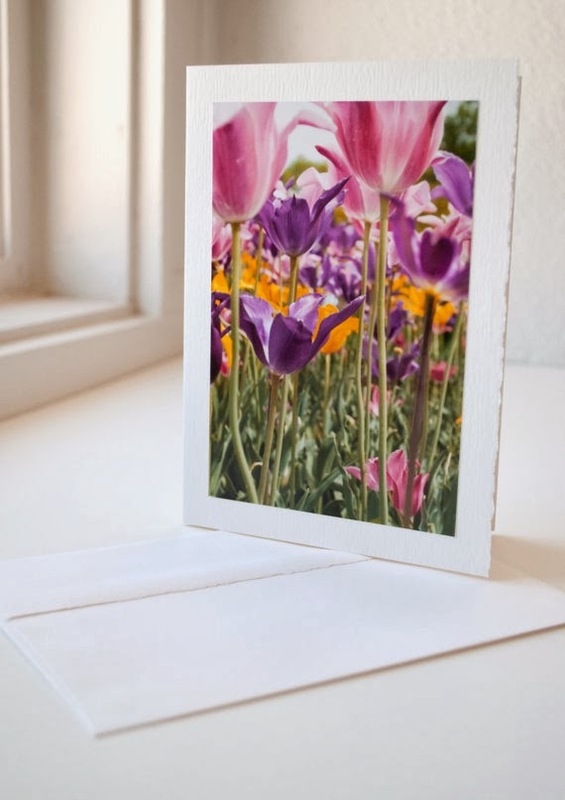 She uses her photography to make notecards made from 100% recycled card stock. It's both beautiful, and green! How awesome is that? I just love her flower cards. The colors and lighting are just beautiful. I can't stress that enough. So, needless to say, I was thrilled to be able to do an interview with Laura, asking about her process, and what inspired her to begin! I have been taking pictures since I was a little girl. I didn’t have an actual camera, so any portion of my allowance not spent at the local gas station on treats was spent on disposable cameras. At that time, most of my pictures were of my pets; cats, gerbils, our parrot. It wasn’t until a few years later that I got my first camera (using film at that time) and really became interested in capturing and preserving all that our earth has to offer. 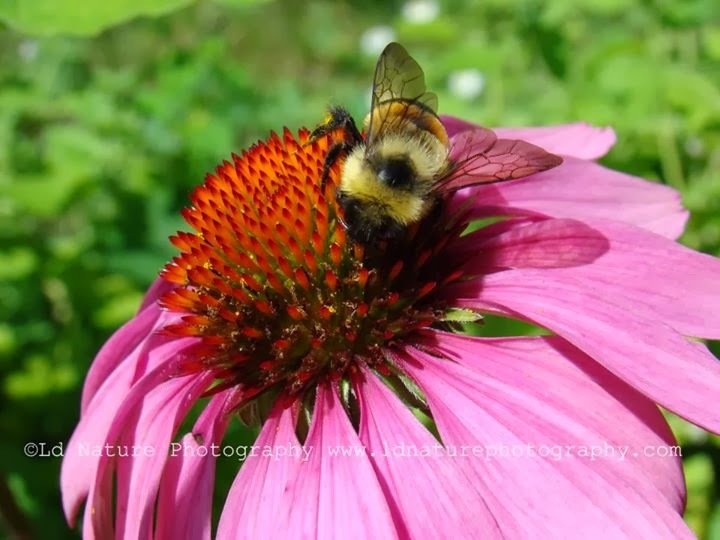 My parents are avid gardeners so I think that is where my original inspiration for photographing nature began. What makes you see the potential of a good photo? Good question! For nature photography, I don’t really have any sort of specific criteria I follow; I usually go with whatever catches my eye at any particular moment. Certain things I tend to notice are the details of subjects; the colors or details of a flower petal, the way the light is shining through a leaf, etc. Once something catches my eye, I make sure to photograph it from many different angles and directions to make sure I don’t miss something. I think that is something I really like about most nature photography – the fact that I don’t have to feel pressured to get the perfect shot, I just let the photography process happen naturally. Do you have a favorite photographer, someone you try to learn from? 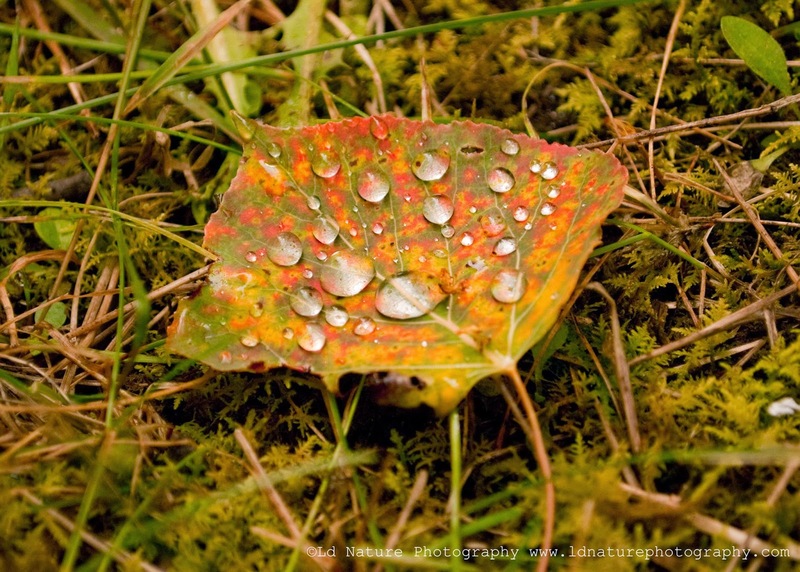 My favorite photographer is Jim Brandenburg (http://www.jimbrandenburg.com/) who is a photographer from Minnesota (my home state). He is probably best known for his nature photography but also does incredible people photography and has done extensive work for National Geographic. Not only is he an amazing photographer, he also has a deep respect for our environment which is something I value. 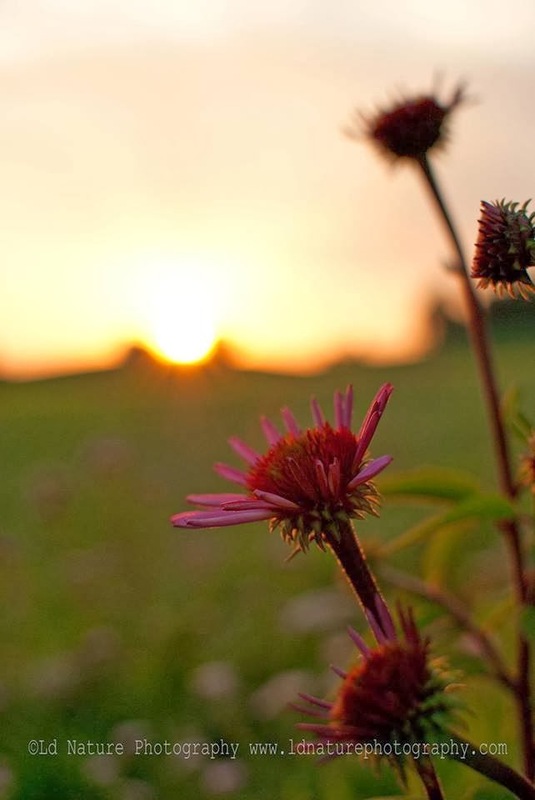 He and his wife started a non-profit called the Brandenburg Prairie Foundation that helps restore native prairie in Minnesota (http://jimbrandenburg.com/bpf/); a landscape that is very important but that has become increasingly rare. I am in constant awe of his photography and philanthropy. I have a Nikon D3000, which I really enjoy. I have three lenses, one is the standard lens and I also have a 50mm f/1.4G lens for low light situations and also a telephoto lens. Then I have your typical camera gear/accessories; tripods, camera case, reflectors, a light box, lens cleaning cloths. When did you decide to start selling, and how did that come about? I started selling homemade photo cards in 2012 at a local co-op and craft shows and on Etsy in November of 2013. I had been photographing nature seriously for a couple years at this point and I wanted a way to be able to share the beautiful things I was lucky enough to capture with others. 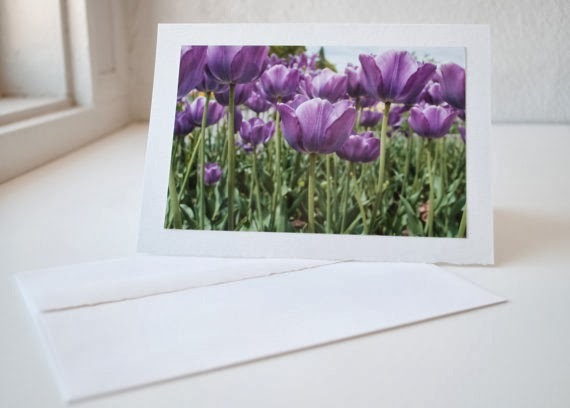 The reason I settled on cards is because through cards, people can pick out something they find beautiful and either frame it and keep it for themselves or send that beauty to their friends and family. And who doesn’t love receiving an actual card in the mail these days? I know I love it! How is your progress with that? I’ve been happy with the progress at the co-op and craft shows. I’m still pretty new to Etsy but I have joined teams to become more involved and have had fun so far interacting with other Etsy members and sellers! Anything new that you're planning? Ways of branching out? Yes! A lot of things! I started a blog after the first of the year and have been having a ton of fun creating posts for that. My blog posts consist of photography tips, tricks and tutorials, stories behind some of my photos, and also a weekly post with a list of free or $0.99 photography Ebooks. Within the next month, I plan to start interviewing other photographers for the blog, and also to create a photography contest calendar. I find it frustrating to find a central location to look for photography contests, so I am hoping to create something to fill that void. I also am looking into joining Instagram and Google+ to see if that is something that makes sense for my business and photography. Finally, I currently only sell blank cards, but I am planning on creating specific cards for birthdays, thank-yous, holidays and much more! Have you considered doing wholesale to shops? Yes! I sell my cards wholesale to the local co-op, and am looking to expand to other shops! Are there other things that you're considering doing? Other venues of artistry to add to your repertoire? One thing I am planning on doing is incorporating educational components into my photography and photo cards. I am currently pursuing my master’s degree in environmental science and environmental education, so I really enjoy learning about and educating others about the environment. Whether that includes educational blog posts or fun facts on the back of my cards for example, I don’t know yet. It is something that is still in progress! I am always looking for new things to get involved in, and new ways to expand. I love learning about new sites, forums, techniques, etc., so I enjoy researching these things and it is something I don’t ever think I’ll stop doing. Where else might we find you? You can find me at the sites or my email address below. Thanks for joining us, Laura! I really appreciate your love for the environment, and sharing it through this medium. There is so much beauty out there, and cards are a definitely way of sharing it with people in a certain way. Can't wait to look into your other venues! And I can't wait to see how it all turns out for you, and what new things come along. God bless, and best of luck! Tomorrow Mackenzie from Bell Bliss and I are having a giveaway for my Nomadic Earrings collection, the African Tigereye and Serpentine Dangle Earrings set. I have a lot of collections available, and I'm running a 50% off sale! Just use coupon code TRANSCLEARANCE2013 at the checkout! I have many items that are perfect for gifts, especially for those with an eclectic taste, and a love of travel. I always love hearing that the one who got the present was very happy!